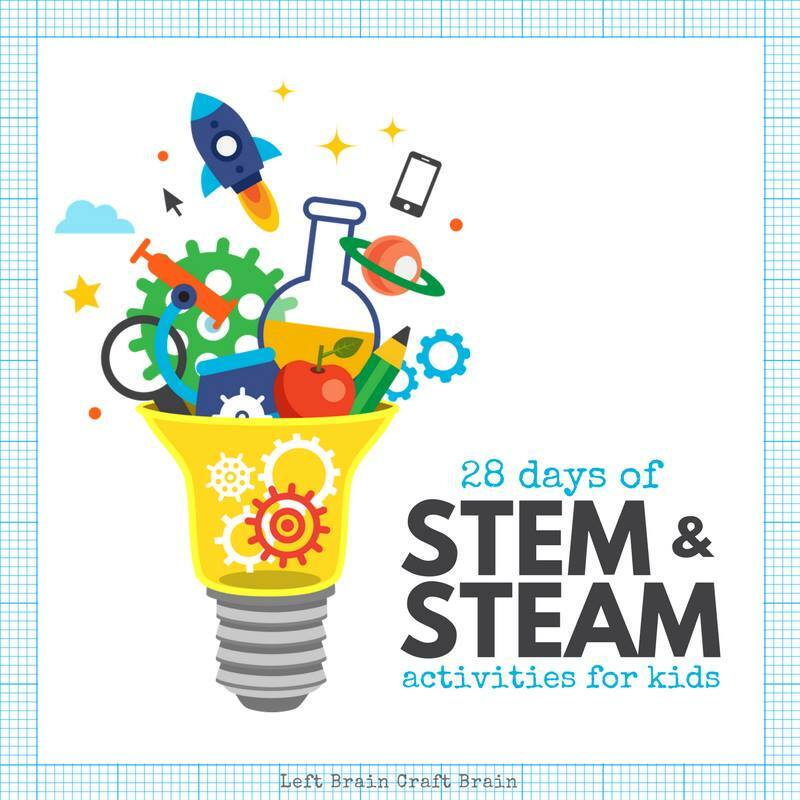 We are pleased, once again, to partner with Left Brain Craft Brain in the 28 Days of STEM and STEAM project. Simple STEAM challenges give kids opportunities to use science, technology, engineering, the arts, and math to develop critical thinking skills they can take into their everyday world. 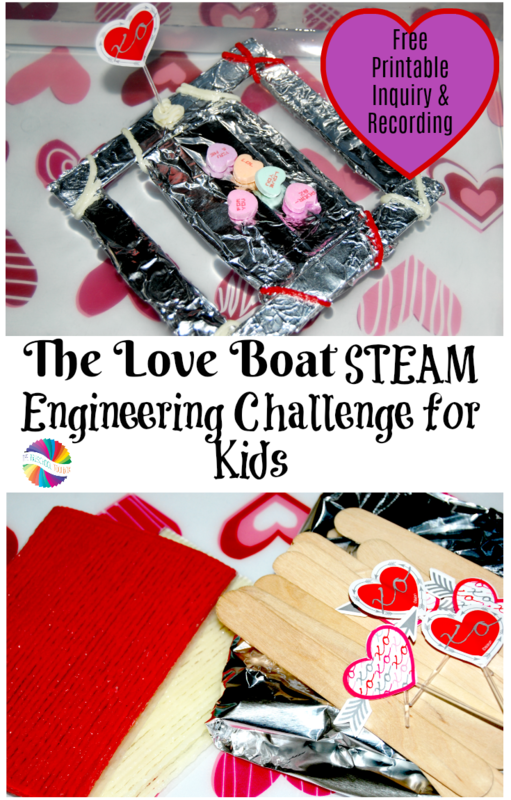 The Love Boat STEAM Engineering Challenge is FUN for kids, but they’ll build important skills while completing the challenge, too. 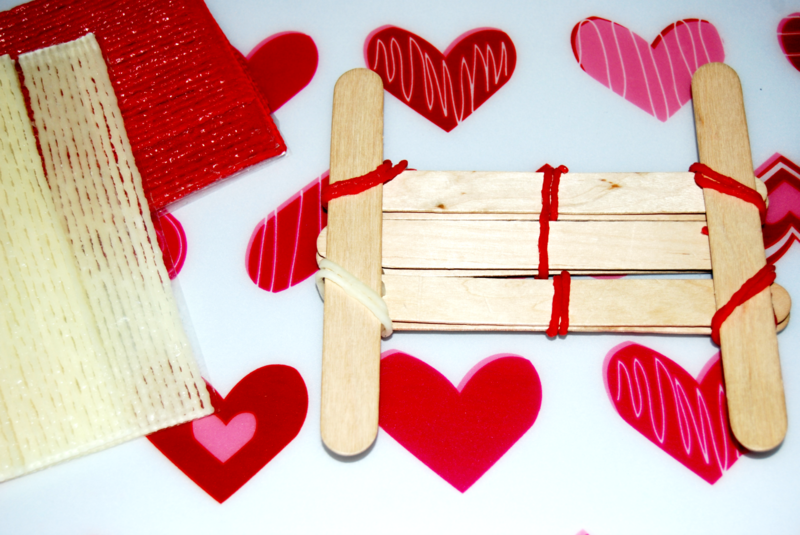 Come play, explore, design, and create with a seasonal challenge that’s perfect for February. The following lesson plan is sponsored by Wikki Stix . All opinions are our own. Please note: this post and others within the blog contain affiliate, distributor, and/or sponsored content and links. For full disclaimers and terms, please see here. 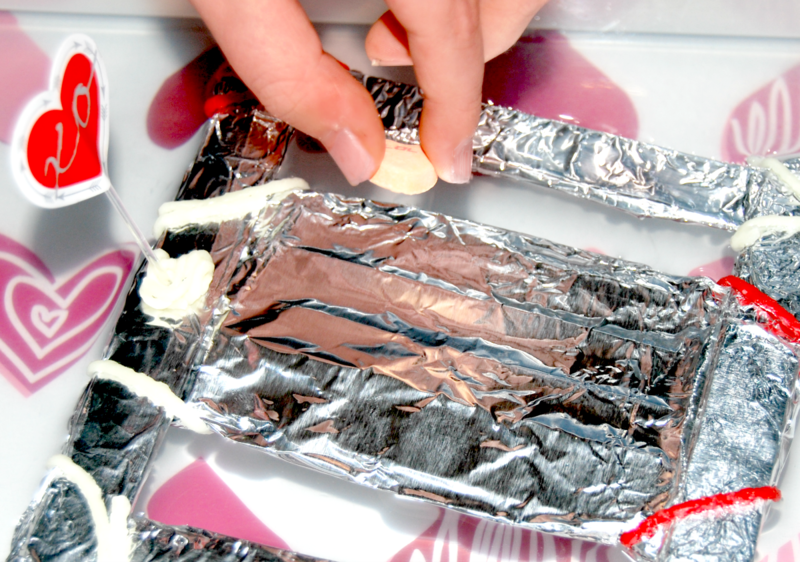 Challenge: Kids are asked to design a boat that will float and hold the weight of at least 5 candy conversation hearts. Science: Kids will use skills within the scientific method as they plan and construct their love boats and test the constructions to see if they can float and hold the weight of the conversation hearts. Technology: Kids will extend and/or document learning through use of technology in the love boat engineering challenge. Engineering: Students will plan and construct a boat that exhibits early attempts at engineering from simple supplies. the Arts: Kids will use individual artistic expression in the design and creation of their own love boat. Math: Kids will use lines, shapes, patterns, and explore mathematical relationships as they plan, construct, test, and improve the engineered boats. Seasonal Colors of Wikki Stix – our kids love constructing with Wikki Stix. We love that we can finish the challenge in one day with our school-aged kids without waiting for glue to dry. Seasonal Cupcake Picks (opt. for boat decoration) – kids can also use tooth picks with construction paper hearts to decorate the love boats, if desired. The challenge is to plan, design, and create a boat that can float in water and hold weight using only the supplies below. Kids do not have to use all the supplies, but no additional supplies will be given. The students should have access to scissors for the challenge. The boat must float in the water and be able to withstand the additional weight of 5 candy conversation hearts without taking on water. The Love Boat STEAM Engineering Challenge is designed for kids in 3rd-5th grades. 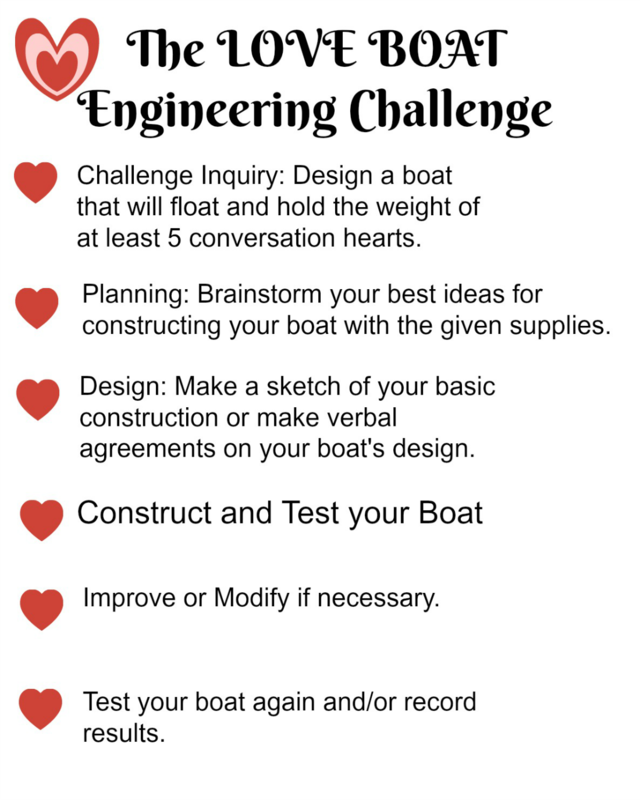 The love boat engineering challenge can be completed individually, with partners, or in teams. The challenge can also be modified for use with older students by increasing the weight limit for the constructed boats, allowing additional supplies, or by requiring the boats to move through the water in some manner. The challenge can also be completed with younger kids, although an adult will need to guide the kids through the inquiry. The construction may be too difficult for younger kids to do independently. After brainstorming suggestions from the group, an adult can help construct the boat and allow the children to test the completed design. All kids will ask questions about how to complete the construction of the boats. Guide the kids with open-ended questions in order to allow them to formulate ideas and solutions on their own. The love boat above was a brilliant construction. The boat held the weight of all 5 candy conversation hearts well. 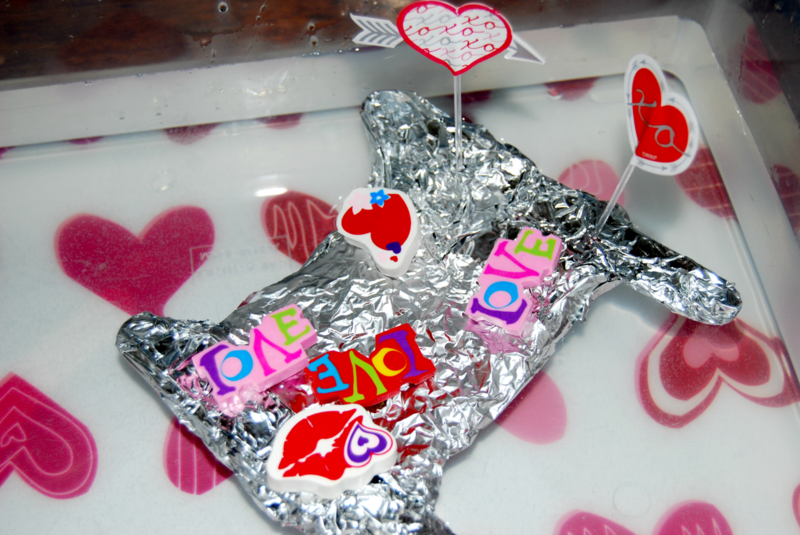 We used a large plastic bin filled with water to test our love boat designs. This group made another awwesome love boat design. The kids even tried heavier weights (Valentine’s erasers) to test the strength of their design. Invite the kids to take photos of their final constructions. Have kids print the photos and compile a class book to share with family and friends. The kids might also video the testing phase of the challenge. By playing back the video, kids can learn about successes and failures to improve the designs. Print the challenge response questions (linked above) for each student or team. Come together and invite the kids to share individual responses to the challenge. FUN FACT: The real Love Boat (Pacific Princess) was scraped in 2013. Her sister ship still sails. Kids can ask grandparents if they remember Cpt. Stubing played by Gavin MacLeod in the TV series The Love Boat. Be sure to visit Left Brain Craft Brain for more FUN and playful learning ideas for STEM and STEAM at home or in the classroom. For more ways to use Wikki Stix at home or in the classroom, see the STEM and STEAM free lesson plan page or visit the blog. There are many great ideas hands-on creation and learning through play. 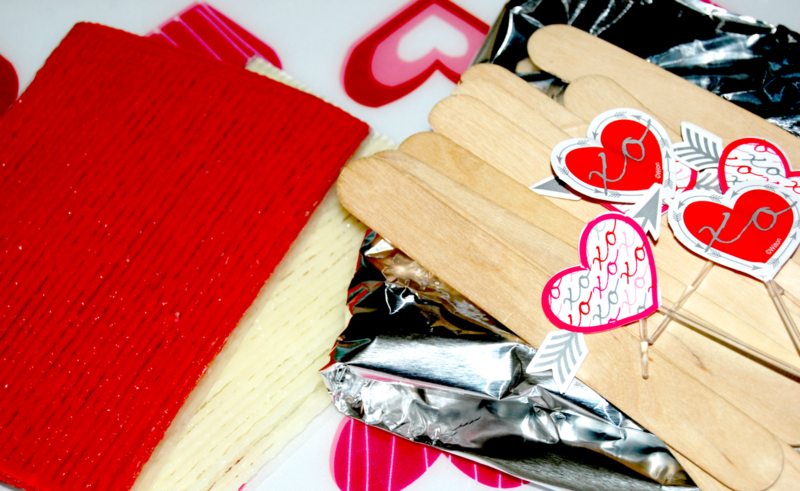 « Valentine’s Day STEAM: PEEPS Playdough and Heart Engineering Challenge!